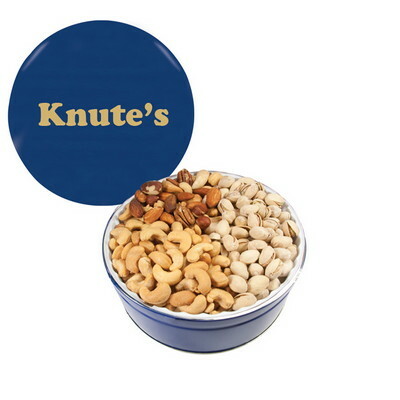 Our custom logo the grand tin is filled with mixed nuts, pistachios, cashews. 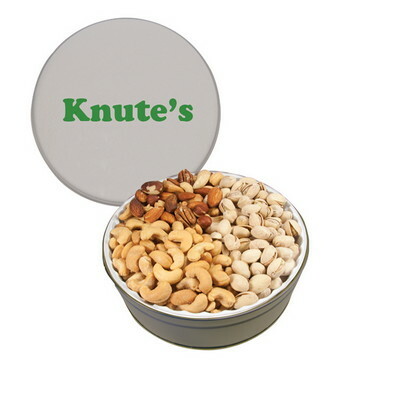 Fit in your marketing needs and appeal to a wide range of high end customers using the Grand Tin with Mixed Nuts, Pistachios, and Cashews. 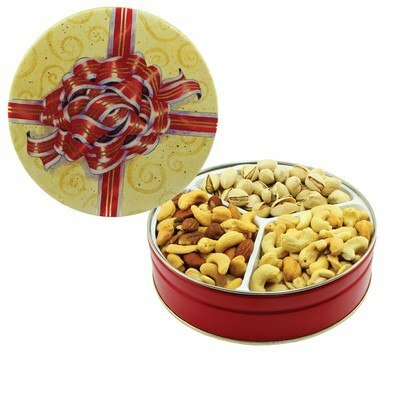 This product offers an abundance of mixed nuts, pistachios, and cashews, and comes in a grand tin that can be reused after its contents are exhausted. Imprint your company’s logo on the tin using 1-color direct imprint or 4-color process laminated decal. The tin comes in five solid-colors and two designer choices along with a greeting card for the designer models.